Mero Desh Still Not Yet Booking With Courier..I Will infom you. Mero Desh Hello...if there..any issue..fault..U Can return ..I Will Accept ..
Mero Desh 100% Same Like New...Just Used one Hand. 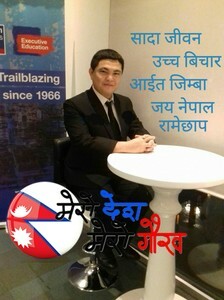 Abel Shrestha can u send me the picture of mobile with accessories ?? Mero Desh Mr.Abdel Chat Garnusna...how Can I help you.? Mero Desh Wo thanks your offer but from my Side its Final Price. Mero Desh its Perfect condition...Normal Used.